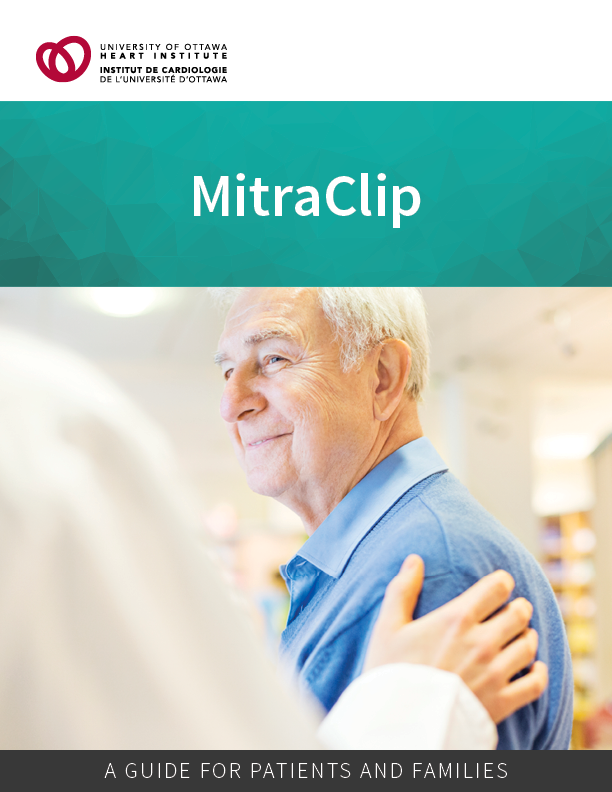 Your doctors have recommended a mitral valve repair using the MitraClip device to treat your mitral regurgitation. The purpose of this guide is to help you and your family prepare for your procedure at the University of Ottawa Heart Institute. Visit Living Well with Heart Disease and the Prevention & Wellness Centre for information on improving your heart health.